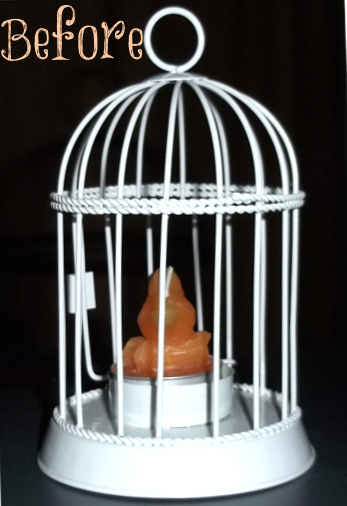 What is it about bird cages? We all seem to like them. Anyhow, I love candle holders as well so when I saw this I had to grab it. 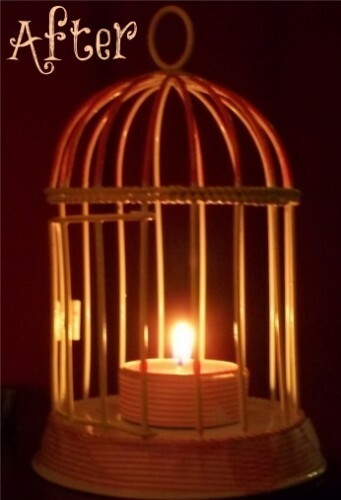 This is my first bird cage craft. It’s cute but a bit homely looking… So I added some color and washi tape, lit a candle… � Super cute? It is still a bit homely looking in plain light but I think it’s adorable with the candle light. What do you think? What would you have done to it to give it a bit of pizazz?